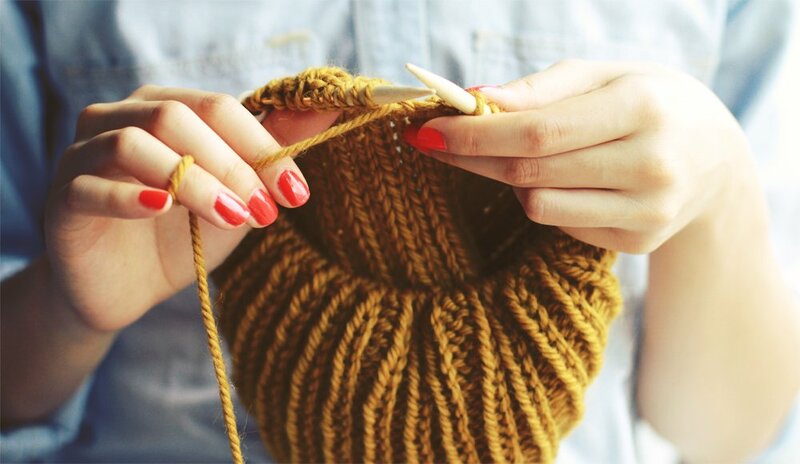 Now that you have learned the knitting basics, you are ready for your own adventures in knitting. During this 8-week course, expert knitting instructors will shepherd you through the project of your choice. We will help you find a project suitable for your skill level, giving you the opportunity to learn and master new knitting skills. The Intermediate Knitting Class is a perfect opportunity to learn design elements like cables or color-work, about garment construction, or to learn new finishing techniques. Class Cost: $160 for 8-week course. Materials for classes used by students must be purchased from Wool & Grace. Knitting classes are for students ages 18 and up. Beginning in 2019, we will no longer have weekly make-up classes. A make-up session will be scheduled at the end of the session. Requirements: Knitters should know the basics of knitting like how to cast-on, bind-off, knit, and purl.